Wood chips up to 80% vs heating oil. 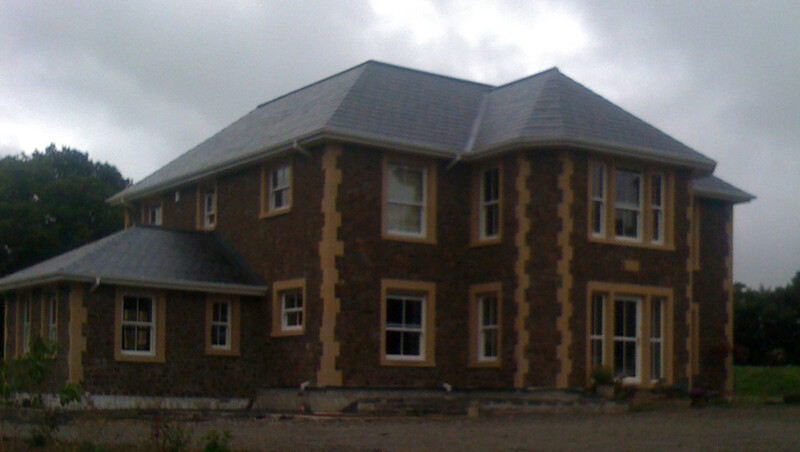 Lew Moor Farm consists of a redeveloped farmhouse replacing an existing derelict building as part of a self-build project. The house incorporates the latest energy efficiency measures, including underfloor heating. With a significant area of woodland and hedgerows surrounding the farm, the owner was keen to be self-sufficient in wood fuel. The client has also been developing hedgerows for use as woodfuel and has been laying hedgerows for this specific purpose. 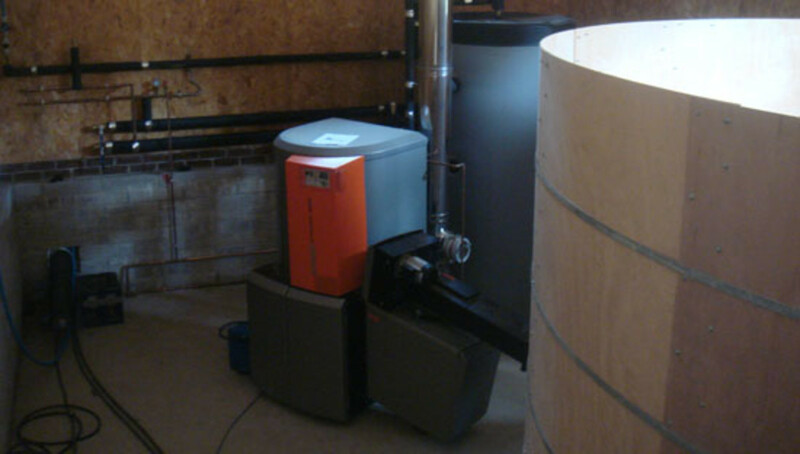 The client wanted a system to provide heat generated from a biomass boiler fed by self-supplied fuel. The heat would need to distributed through underground main to new-build energy efficient house and office with underfloor heating. A 50kW Guntamatic Powerchip boiler was fitted in a new build boiler room with a circular fuel store supplying heat via underground heat main to new build main house and business office. As well as fuel cost savings of 50%-80%, the installation at Lew Moor Farm is accredited into the Renewable Heat Incentive and the client is now receiving payments. A project of this size would gain approximately £5,500 every year for 20 years, index linked to inflation. The 20 years of RHI payments and the fuel cost savings make the project both sustainable and financially viable. Turnkey solution with project management. A fully automated fuel delivery system. 4m agitator allowing 30m3 of fuel storage to minimise the number of fills per year. A 1,400 litre thermal store. 60m of twin underground pre-insulated pipe. 2 x class 2 RHI eligible ultrasonic heat meters complete with certification. Commissioning, programming and end-user training.